Each voice has its own TUNE knob. FAST, MOD, modulation source selector and SHARP af- fect two voices simultaneously. HOLD and PITCH control the whole group of two pairs/four voices. VIBRATO, TOTAL FB and the FM structure switch control all eight voices together. 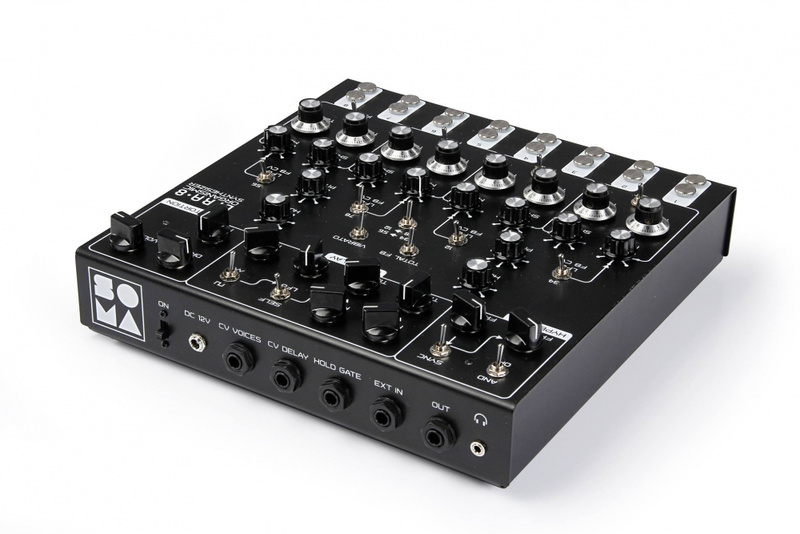 The MOD DELAY consists of two lines of delay with cross-feedback and a special architec- ture that enables resonance between the two lines. Each line's delay time can be individually modulated from various sources, including external ones. The DISTORTION is last in the chain, after the delay. It enables the delay to also in uence the distortion.